You've seen us tracking the $700K 2BR condo game in some of the most sought-after areas of Brooklyn, and there are a handful of nice ones still left. 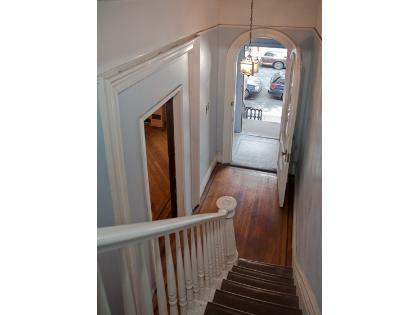 But it's also nice to see where that much money can get you a renovated 2-Family townhouse with original details. 53 Decatur Street near the C train in Bed-Stuy came on the market for $749K about 2 months ago, and is sitting in contract now. 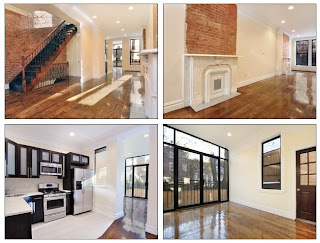 Picked up in an estate sale July 2011 for $430K, a savvy developer or investor probably dusted this place off, made some updates, and kept what was worth keeping, lobbing up a successful flip to a market that's appreciative of even Home Depot-style brownstones in Bed-Stuy that beat prices on condos in other areas. Listed as a 3-Family, but C of O is for a 2-Family. But it's well within the FHA loan limits either way. Ideally: hopefully, there's plenty more where this came from. This was a well-executed example of what can be done in this area and some others. There's probably, ultimately, more value in doing your own finishing touches to other 20-footers with original details (that Corcoran also had, by the ways) like 122 Gates Avenue and 101 Gates Avenue, which each flew off the shelves much faster. Corcoran doesn't need any good luck wishes from us. They've got the most visibility, the biggest presence, the sleekest look, usually take the most & the best pictures, but we're not sure if we're seeing this price on 110 Gates Avenue. They also haven't called us back on a $2.5M+ listing for a Platinum Member who's an all-cash buyer, so we can't very well see how they intend to sell arguably over-priced $2M listings if they can't even service their $2.5M+ listings. You'd think earning a commission of $150K+ would get them off their bums, but alas, this remains one of the most perplexing industries ever. You'd think as the prices went up, so would the professionalism, but... nope! Also perplexing, recently Corcoran joined Brownstoner's Marketplace, which was a "No duh" in our book because - prior to this development & to this day - most of Brownstoner's picks for "House of the Day" (the true poppa bear to the BK to the Fullest style) were easy-to-find Corcoran listings anyways. So if their "hope was to assemble the most comprehensive Brooklyn listings site on web" as they say, what's adding a bunch of listings everybody already knows about really doing? Not to mention the fact that you have to pay to list with Brownstoner, so ostensibly at least 10 great listings come to mind that aren't on Brownstoner Marketplace. 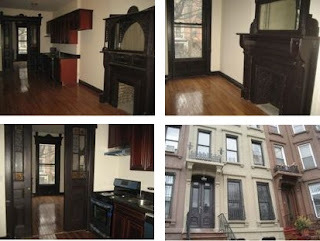 Thus, the needle in a haystack process that is a house hunt in Brooklyn continues. Also poignant are the comments on the page for this story on Brownstoner. "R.I.P. objective, truthful market comments," one reader writes, lamenting the loss of the price widget and other analysis (usually in the form of snark). Accordingly, it's no coincidence that the comments for that page were also promptly "closed". 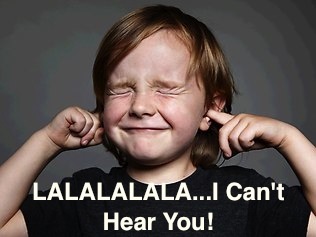 And another comment, "Isn't Streeteasy a comprehensive listing site?" 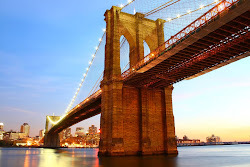 is another misconception of the Brooklyn real estate market. Same thing with REBNY, which is, from all we can tell, just a cartel of all the brokers everybody already knows (with listings that are already easy to find), who often treat non-REBNY members like junk just because they can. Which has led notoriously-unprofessional brokers like Warren Lewis to pull an "if you can't beat 'em, join 'em" and become members of the cartel. They must've gotten so tired of getting bullied by REBNY members, that they joined forces and quickly decided to start bullying other non-REBNY members as they themselves were once bullied. And all non-REBNY members have in their arsenal to retaliate with, in a terrible feedback loop of negative reciprocity, is to not cooperate with REBNY members. The cycle of abuse continues, and buyers are damned if they do & damned if they don't. In our book, all of this is just the petty under-belly that real buyers could care less about. They just want the best house in the best neighborhood for the best price. And that's what BK to the Fullest is here for. 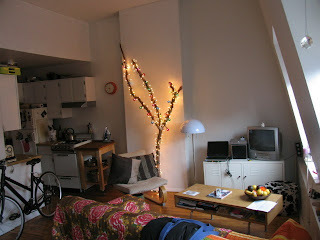 Ideally: if you like this, def' look at 91 Cambridge for comparison's sake. Like we were saying, $1.5M is the pay-to-play price in Prospect Heights, and it sure gets you way more than some of that relative junk in Park Slope at this price point. 416 Park Place has gotten lots of attention from readers because of its $1.55M list price, condition, curb appeal, and location. 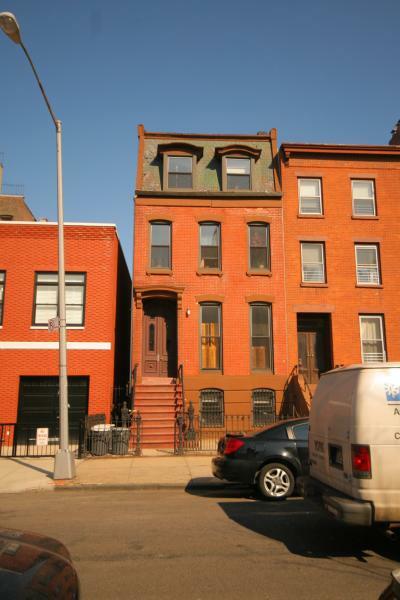 While some aren't ready for Prospect Heights, others wasted no time jumping on similar places like 419 Sterling Place, and we don't imagine this one will last much longer either. 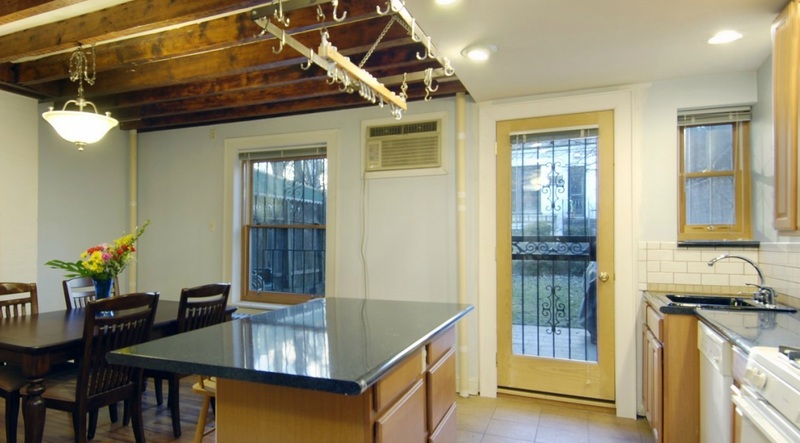 Even if you feel like this interior is dated, or isn't your taste, what's the next-best turnkey place with a bay window over the back yard just off the 2/3 train? You'd have to go to Windsor Terrace or 4th Avenue for something this nice within striking distance of the Slope in this price range. And if you're not scared of going a little east of here, the value only goes up. If this is under anyone's radar, it's kind of silly to us. Even just watching the NBA All-Star game last night and hearing trade rumors about Dwight Howard coming to the "Brooklyn Nets" - just hearing the phrase come out of Marv Albert's legendary mouth, it dawned on us. For the longest we've been underestimating the influence of the stadium, because we figure, "What's another 20,000 people every other night in Brooklyn, right?" - but we realized it's deeper than that. 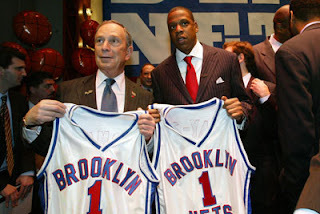 Everyone knows the "New York Giants" practice, play, and (mostly) live in New Jersey, but when it comes to calling a franchise the "Brooklyn Nets", it becomes something as iconic and love-able as our grandparents' "Brooklyn Dodgers". And when tourists can get there on the same Metrocard they take from Soho shopping excursions back to their mid-town hotel, and a specifically "Brooklyn" team is talked about regularly on the national stage, Brooklyn will have more of a presence on the national and global tongue, ear, and consciousness. 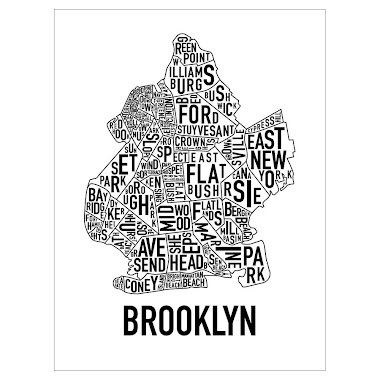 Brooklyn as a concept, as a brand, will be bigger than just hipsters and rappers and brownstones (but especially Brownstones!). Atlantic Yards will feel like "downtown" Brooklyn, and Crown Heights will feel no edgier than Prospect Heights is now. And a year from now people will be kicking themselves for not picking up these $1.5M places in Prospect Heights while they still lasted. And the same unicorn hunters begging us to find them $1.5M places in Park Slope that no longer exist will be wondering what happened to all the $1.5M places in Prospect Heights. It doesn't take a crystal ball to see. And don't say we didn't warn ya. Con's: only if you actually still think Prospect Heights in "pioneering"
For those of you with your fingers stuffed in your ears, not ready to hear that $1.5M is the new pay-to-play price in Prospect Heights for a full townhouse, why not pick up 2/3's of one for 2/3's the price? "Maintenance can be reduced significantly after closing," is not the first description you want to hear about a place, especially when the maintenance is over $2,100/month. That's an "I'll believe it when I see it" situation. They're going to have to give some serious clarity on that, which is probably why this seeming deal hasn't moved yet. If that caveat wasn't scary/confusing enough for ya, next they tell us, "4 coop apartments with abundant detail are being sold with the opportunity to combine them for one lucky buyer." 4 co-op apartments on two 17' x 45' floors? What the what? Hmmm, well if the buyer's so "lucky", why hasn't anyone bought it yet? How 'bout you guys combine 'em & drop the maintenance first, THEN we'll talk, ok?? Last time we checked, 2 bathrooms and 1 kitchen per floor does not make 2 co-ops per floor. All this is very reminiscent of when 204 Washington Avenue didn't wanna deliver vacant after presenting the sale as such, then pretended like vacating the place would be a cinch for us after we bought. We said, "If vacating is so easy, you guys go ahead and do it..." and gave them a $200K+ offer differential with which to do so. And yet, to this day - almost 2 years later, those same tenants are still in there, even though it sold for less than our "delivered with tenants" price. Suffices to say, never let a seller or a listing agent do your due diligence for you. See if the sellers or agents on 262 Prospect Place will split the maintenance with you until it's "reduced significantly" as they claim. We doubt they'll put their money where their mouth is. But then we're told, "Kitchens and bathrooms need updating." You mean all 4 bathrooms? "There are presently four bedrooms, convertible to five and 4 bathrooms." Again, what? There already ARE 4 bathrooms. Are they encouraging a flop-house conversion? That sentence just simply isn't the best way to phrase it for an already confusing listing. "Another option is to purchase and re-sell individual units with renovation." 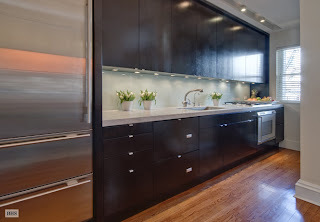 If you're not dizzy already, you can enjoy the short walk to amazing dining options on Vanderbilt, if you're too tired to cook in your 2 kitchens after renovating your 4 bathrooms. This almost makes the price on another co-op 125 Eastern Parkway, #1A start to make sense again. Ideally: there's a scenario where this thing isn't as disastrous as it sounds. Buyers are funny. They're so hesitant to go out of their location comfort zone, even when prices there have long passed them buy. Hard-core Carroll Gardeners from back in the day are sometimes too stubborn to believe that anything good happens east of Smith Street. Meanwhile, Cousin John is busy turning $1.5M shells into $3M+ masterpieces over there and one of our favorite 4-Family's fetches over $1.5M all-cash. And that's before the market turned! Monday we covered another sign of the times that's news for folks who think they're pioneering in Clinton Hill. Some jokers even try to tell us that Prospect Heights is pioneering, yet they don't wanna spend the $2M+ it takes for most fixer-uppers in Park Slope? When the NYTimes is boosting Prospect Heights as an alternative to the Upper West Side (and friends of ours can't even snag a fixer-upper on the UWS with $3M cash!) 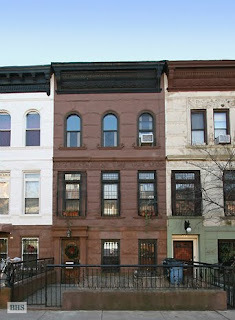 and the Wall Street Journal is boosting Crown Heights as an alternative to Prospect Heights, the writing is on the wall. And anybody who can't read that writing simply needs to get over themselves. 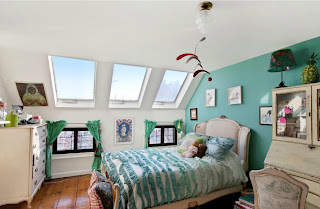 Heck, even our post on chasing the impossible, mythic $1.5M townhouse in Park Slope has quickly become the most popular post on the blog since we put it up. You might say they're dreamers, but they're not the only ones. 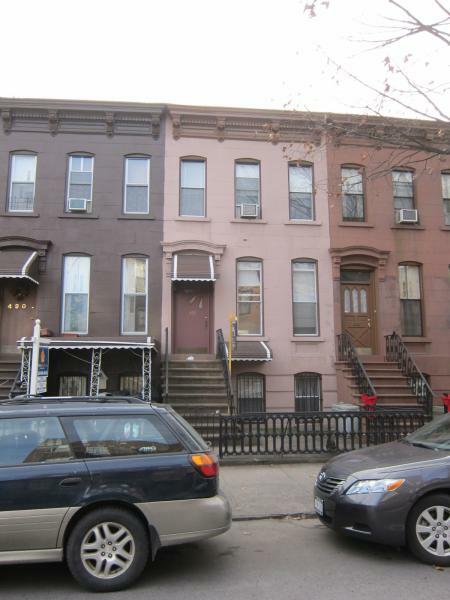 Today we bring you an 8-Family in a stretch of Brooklyn that's rapidly exploding. 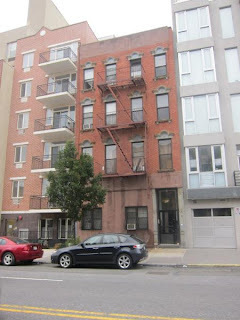 653 Washington Avenue is a 25' x 60' at St. Marks Avenue lodged between new condo renovations. You get 8-units at free market rent, a gross rent roll of $164K, and some buildable square feet. 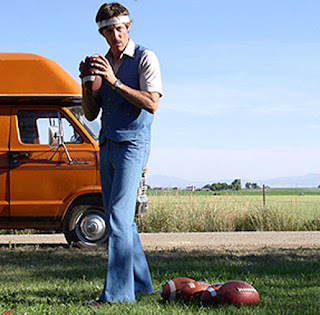 All in a commercial stretch that will resemble Vanderbilt much sooner than the haters are willing to admit. Where did the impossible-to-get-a-table, beloved al di là in precious Park Slope put their newest location? Why, none other than Washington Avenue. Not to mention the Kimchi Taco Truck finally turning their storage location into their first restaurant on Washington Avenue. Some may seek to low-ball this property, but word on the street is they shot down $1.6M all-cash offers in the first week, so come correct. When you've got the 2/3 trains (and the 4/5 at Franklin), the Brooklyn Museum, the Botanical Gardens, all kinds of amenities from Franklin Ave to Vanderbilt, up the hill from Clinton Hill and the Brooklyn Flea, a short jaunt to Park Slope, and a better school district than North Slope... what are these "pioneer" people talking about? Heck, even we slept on Bed-Stuy and Crown Heights for too long, barely going east of Classon until it was too painfully obvious to deny. In Mexico City, we recently came across a definition of "gentrification" that called it "residential elitism". Definitely makes ya think. Ideally: we can keep this worst-kept secret to ourselves for a few more years. 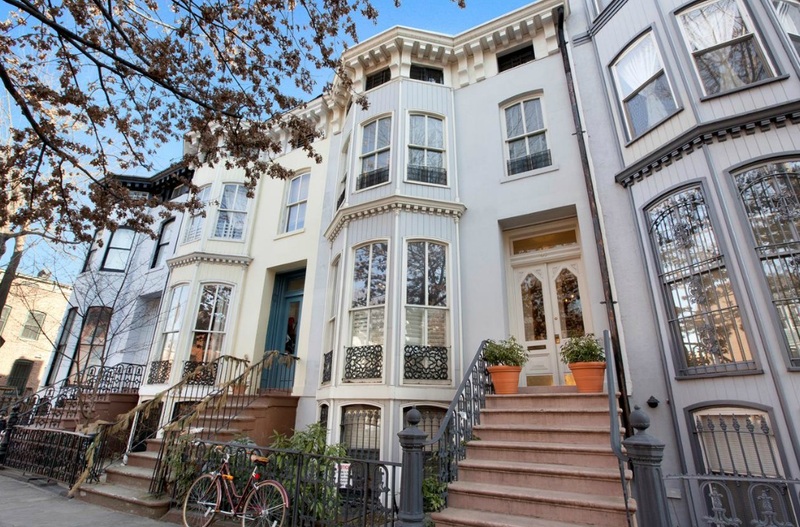 Prices are through the roof everywhere and inventory is low, especially in a tiny neighborhood like Fort Greene - but we'd like to think that $2M+ still gets you something. 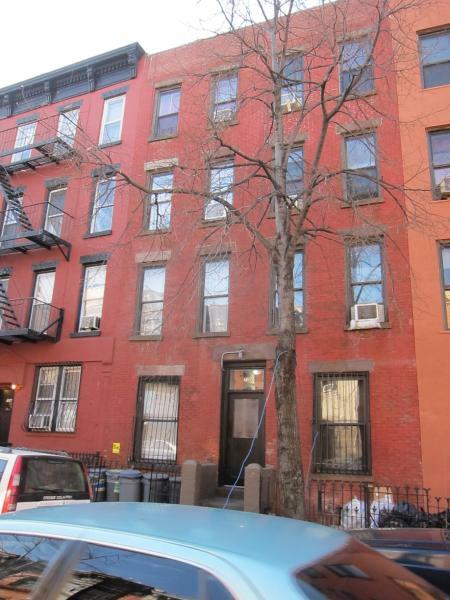 267 Cumberland Street re-listed today for $2.1M and we're not buyin' it. Sure, the market's heated up since the fall, but if you didn't want this thing for $1.6M in September with even more pictures, what's justifying the half-million dollar price bump now? 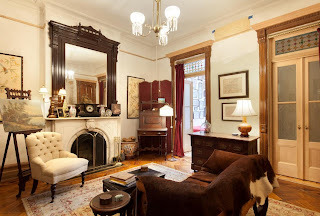 But this is just about the sorriest attempt at fetching ~$2M in Fort Greene since 137 Adelphi. All that said, this somehow will maneuver as much as $1.8M eventually, but the broker should have to kick in half his commission (and a personal apology) - 'cause he didn't do jack. 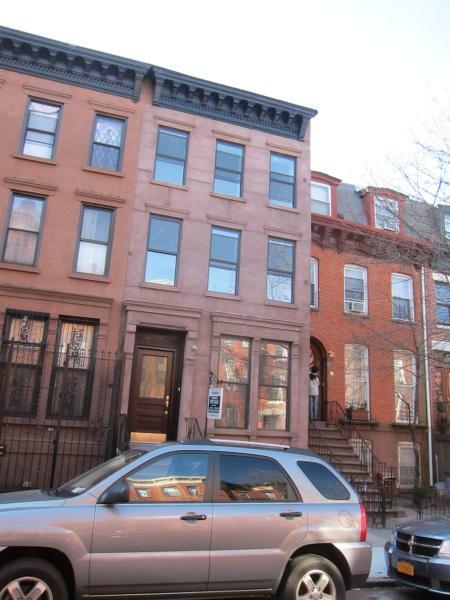 This 4-story 2-Family in Clinton Hill wasted no time going into contract with a list price of $1.5M. Out for barely a month, it was no surprise (given the $1.5M market in Park Slope) that 101 Gates Avenue wouldn't last. 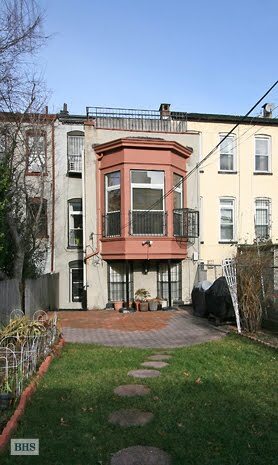 Especially with the last 20' fixer-upper in Clinton Hill only lasting 2 weeks on the market and selling for above asking price all cash. And even the vinyl-siding on the unattached side adjacent to Muhammad's Tire Mecca right on busy Atlantic Avenue on this 21' wide fixer-upper couldn't stop it from going for all cash. With fixer-upper's going for $2M+ in Carroll Gardens and in Park Slope, there's a new pay-to-play price in the next-best neighborhoods too. 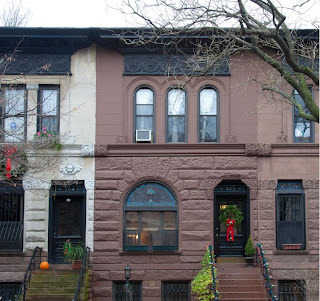 If you think you're pioneering in Clinton Hill, you simply haven't been paying attention. 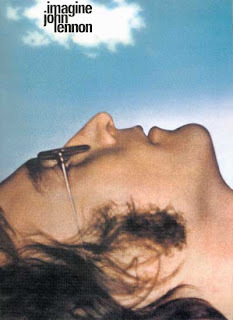 Ideally: just another sign of the times. The next one probably fetches even more. Myrtle Avenue in Clinton Hill is bustling. New businesses are popping up all over, and Massey Knakal's had their finger on the pulse the whole time. It's actually odd to us how long it took Fulton Street (where the trains actually are in Clinton Hill) to catch up to the kind of activity that Myrtle's been seeing for years. It's about as bustling as you're going to see for a train-deprived stretch of commercial avenue. Then, if you can find a way to slap a 6-cap on something, you've got people's attention. 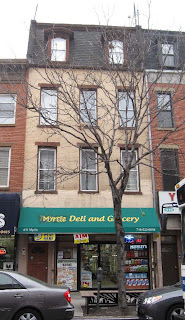 411 Myrtle Avenue is a mixed-use property with a store on the ground floor and 3 apartments above. The store's already paying $4,200/month and the apartments range from $1,800 - $2,200/month. We'd consider this healthy and at the top of market. With the gross rent sitting at $123K, we can think of a handful of investors who'd slap a $1.2M price tag on this thing and wonder why they never get it. But Massey knows better. They barely market their places sometimes and they barely need to. An investor will recognize what's going on and pick this up closer to asking price than most would expect. 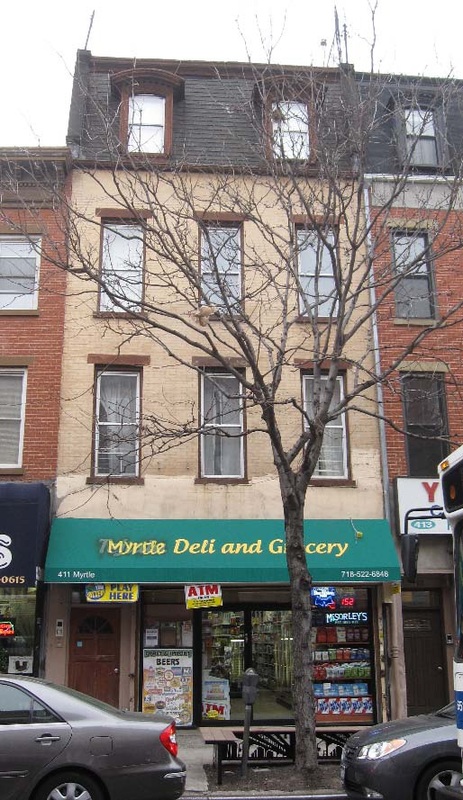 We might poke around the Carroll Gardens plays for this price or less, but certainly a case can and will be made for Myrtle between Vanderbilt and Clinton. 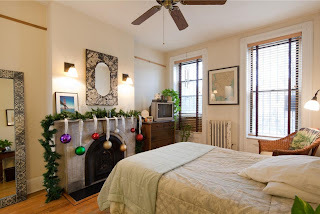 Pro's: location, 20' x 50', good rental income, "Each residential tenant pays their own heat/electric utilities"
With the explosion of prices and pent-up demand in Park Slope proper, the last few bargains are now being swooped up in the South Slope/Windsor Terrace area. 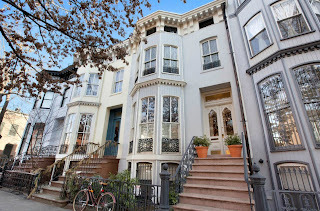 488 16th Street is one of the latest to go in contract with a list price of $1.295M. This tiny 16' x 40' 2-Family would be a few hundred thousand more just a few blocks over, but presents some relative value these days at this price. You gotta like the musical slideshow they do when you click the link there. The inside's dated, but what were you expecting? We think there's a little more value in a few other places here, but listed since July 2011, we can see how someone finally snatched this up. Probably a condo alternative for lots of folks. Not what we'd wanna throw $200K+ into for our part. Ideally: if you like, there's more where this came from. 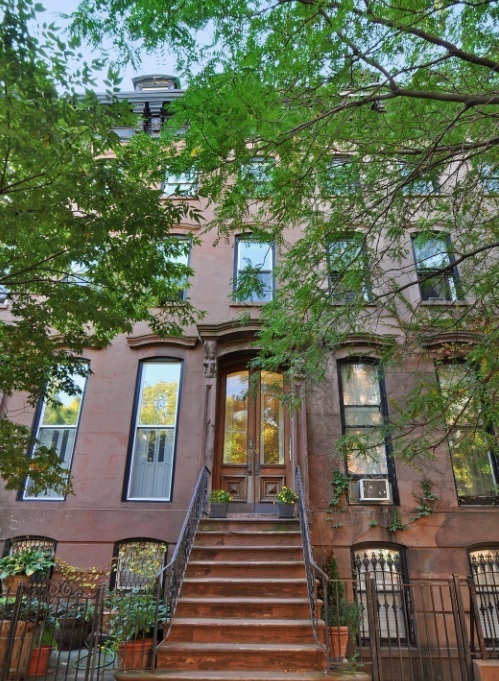 Don't tell our $1.5M buyers in Park Slope, but the $2M's are coming to Clinton Hill. 91 Cambridge Place is fresh out with a stunning renovation, a professionally landscaped garden, a bunch of great pictures, no lay-out, an open house, and a $2.05M price tag. 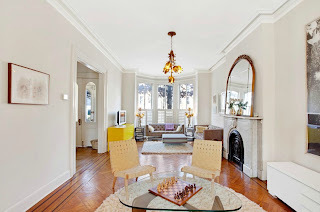 When 103 Greene Avenue fetched over $2M, and 338 Clinton Avenue went in contract at its asking price of $2M sans photos or real description... the writing was on the wall. Now we can only look back at purchases like 107 Cambridge and 121 Cambridge, because 91 Cambridge has joined the likes of 110 Gates Avenue around $2M. Nice. Nothing a few hundred thousand and some good style sense couldn't do to 101 Gates, but don't take our word for it, ask Cousin John. Ideally: don't sleep on Clinton Hill anymore. 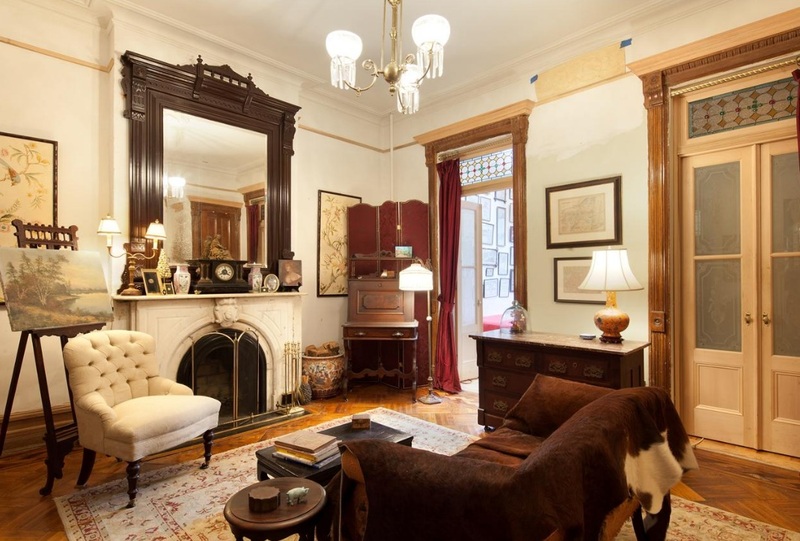 When you're dropping over $2M on a 4-story brownstone, you want more than a fixer-upper, right? Well, not anymore. At least not in the best neighborhoods. Just ask the folks at 220 Garfield Place. Today we take a look at a 4-Family "currently being used as a 3 family" that some were waiting to come down in price, and we figured never would. 564 Henry Street came out exactly 2 years ago at $2.3M with Prudential and dropped to $1.99M by the October 2010. 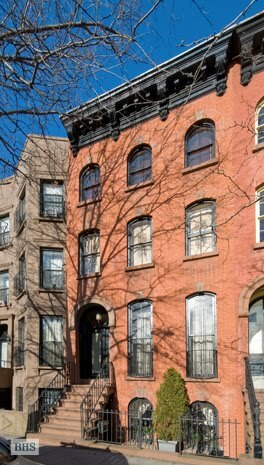 But it wasn't until Corcoran got their hands on it and listed it for $2.15M that it went into contract. Not too shabby, but sub-par photography for Corcoran standards & definitely not the best look inside a place for $2.1M, especially compared to the job Brown Harris Stevens did on Warren Street. Luckily, BK to the Fullest "Platinum Members" are headed to another 3,200 sqft 4-Family around the corner for much less money. Ideally: stunning finished products for just a tad more than this abound. But don't expect the dated places to stop going for these prices at this rate either. 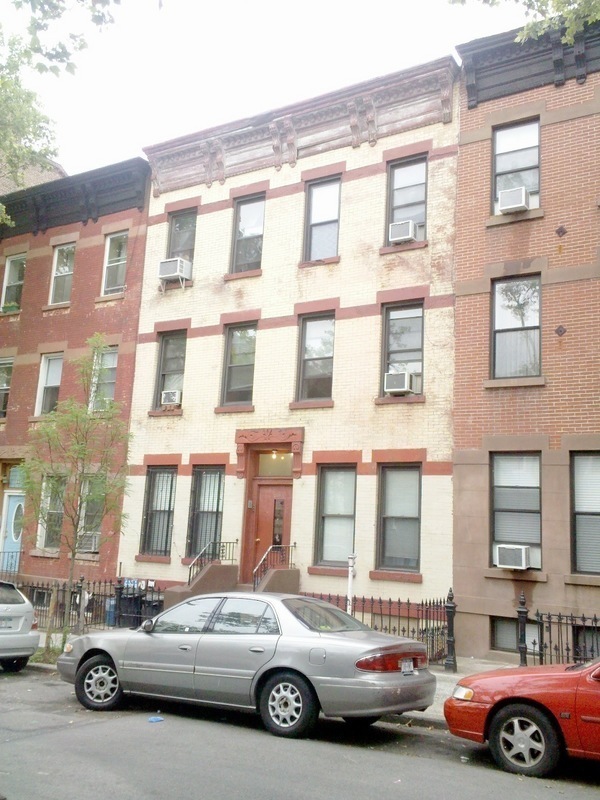 From our last post on an 8-Family building in Park Slope with no upside for $2M, today we bring you a 6-Family building with even less rental income for $2M. 229 8th Street has been on & off the market since July 2011, and is back out now. Anybody biting? We have to give these folks a little credit over at "RUinSTYLE", which their Facebook page insists is "pronounced 'Are you in Style'." They took the time to really pitch a few of the upsides of the place and detailed the rent roll. However, just over $8,600/month gross rent isn't going to win over any investors. 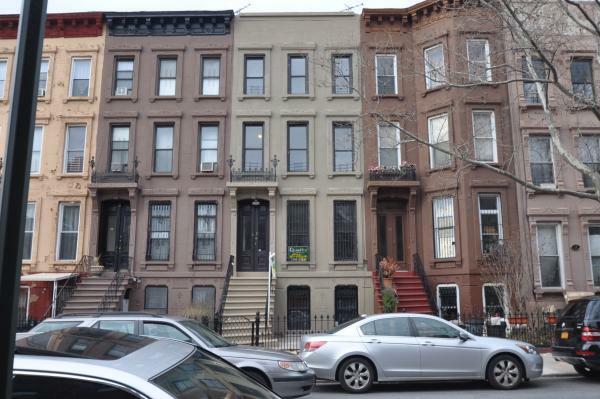 You can gross that much for less than (and sometimes half of) a $2M purchase price in Fort Greene or Clinton Hill or Crown Heights. Commercial loans take at least 25-30% down, but this rent roll would mean at least $1M down, at which point, why not just go somewhere else? Looking at this building doesn't scream "RU in Style? ", but the price certainly screams "RU kidding Me?" Besides, the rents are already pretty much top of market. That one straggler paying $535/month must be rent controlled or rent stabilized. But even if that caught up to the rest of the other rents overnight, it wouldn't make that big of a dent. 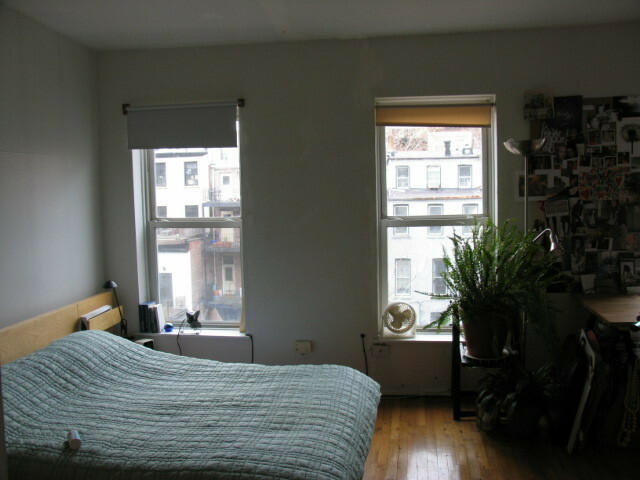 While most places brag when they have a legitimate 2nd bedroom (rather than that narrow "office" space), this listing boasts, "True 1 Bedroom – can fit a queen bed." 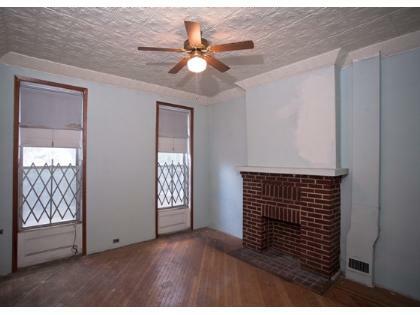 Heck, for $1,650/month, we would certainly hope so! Will the "generous additional 2000 sqft of development rights" actually pan out? 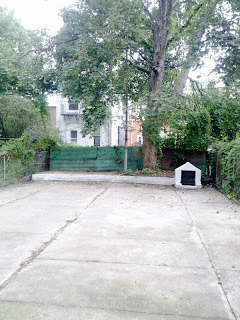 Maybe someone can come up with something nifty for this paved backyard? Please tell us at what price this even starts to get interesting, or what angle makes this a truly a "fantastic investment". 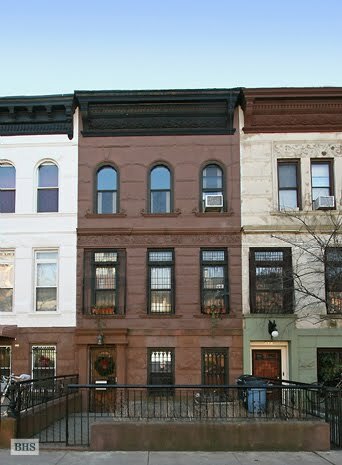 If you had this money in Park Slope, get a brownstone. If you want cashflow, get something way better somewhere else. Ok, even at the one year anniversary mark of seeing that crushing sale, it still kinda stings. But we have moved on (somewhat). 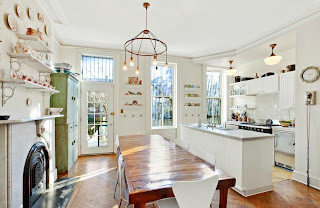 Accordingly, handfuls of buyers write us lamenting the sale of the gorgeous mansion that we covered 200 posts ago while still on the market last year, 287 Dekalb Avenue. There simply won't BE another 287 Dekalb. Or at least not within 20% of that price. 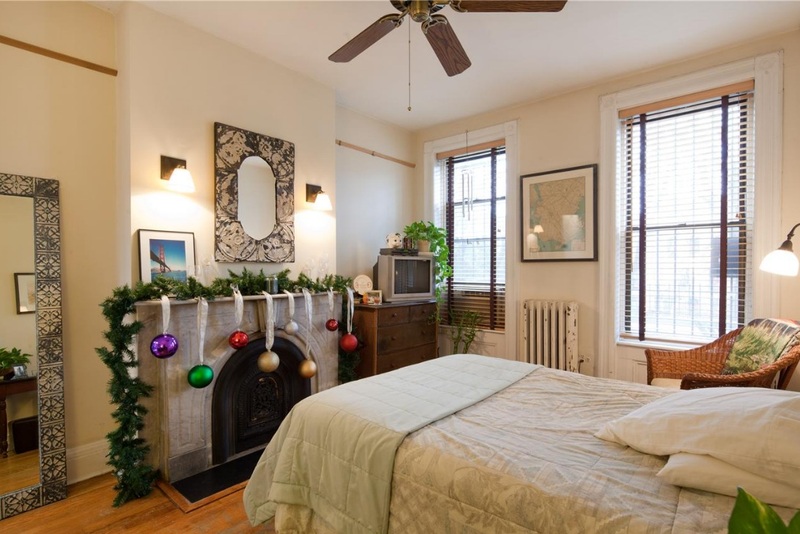 For proof, just look at 338 Clinton Avenue going into contract this past Fall at its asking price of $2M with no pictures of its beautiful interior. Accordingly, the sale of 158 Garfield Place has messed with the heads of the 29+ folks that submitted a written offer in the first month but didn't get it. 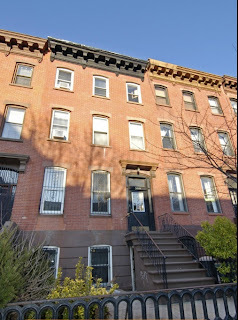 On a street with $2M+ fixer-uppers, and $4M celebrity home bidding wars, this limestone, bowfront 8-Family with rent stabilized tenants and an underwhelming rent roll fetched under $225K per unit and a cap rate that isn't even that bad for how prime its location & curb appeal are. Now another 8-Family on a less desirable block with a worse interior wants more money... because?? 700 Sackett Street is asking $2M and offers 8 2-BR apartments, 6 of them free market. Having an 8-Family with a majority of units destabilized is a huge plus, and the net operating income is listed at $130K. However, there's also no upside. The rents are pretty much what they're going to be, and a conversion play down the road is expensive, hard to predict when feasible, and the only value we can see left worth extracting at this price. 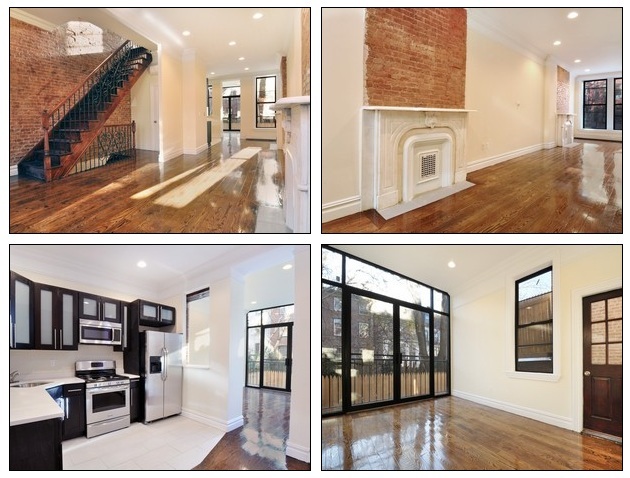 Compare this to the $150K NOI on the gorgeous 603 Vanderbilt, or the genie in a bottle that is 234 St. James Place, with a ton of upside waiting to be unlocked (if only those wanna-be brokers would ever call anyone back). There's also another 6-Family apartment building in Park Slope for $2M and a 5-Family brownstone over here listed for over $2M, but we ain't seeing the appeal there either. Ideally: these guys at Terra CRG seem pretty legit. 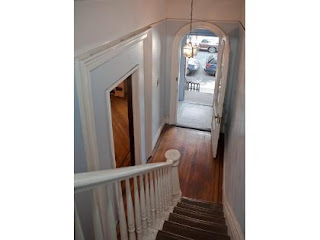 See what their angle is on the place & get in there and bid yourself some upside into the deal. 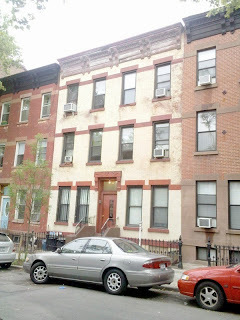 34 St. Marks Avenue is a 17' wide 2-Family "finishing the last stages of a complete renovation" that we find clean & generic. You could really take advantage of this location with the right renovation, but this waxy, rental-looking finish on the floors always breaks our heart. 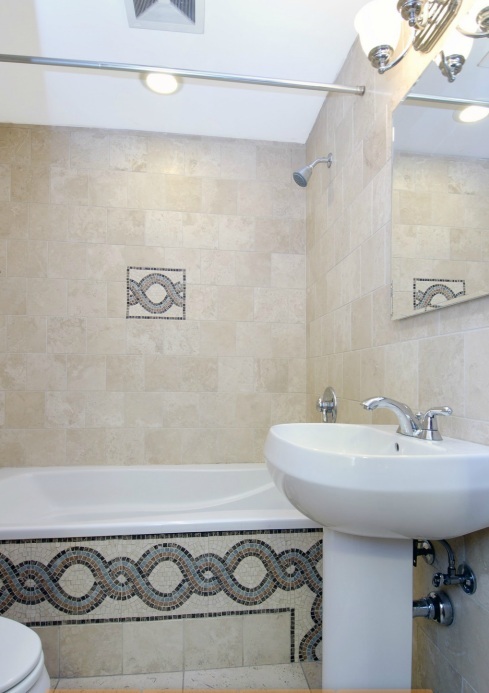 Especially when it was asking well over $2M in August 2011 as a half-finished renovation. Take a look across the street to see how to really sell a nice renovated place. 34 St. Marks is more like a better-located 572 Pacific Street, with a renovation that's not as nice. Pacific Street also just dropped its price. 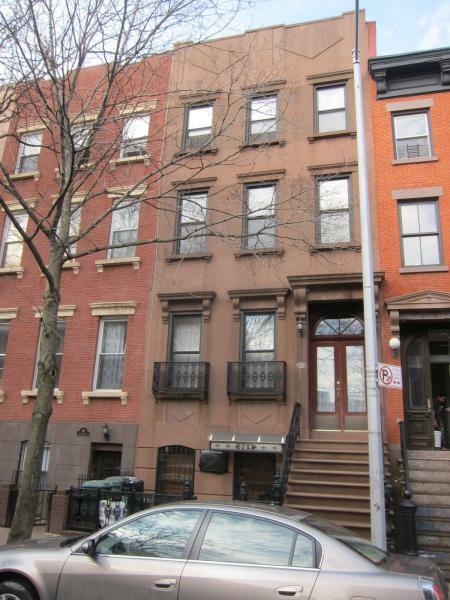 34 St. Marks wanted $2.2M, then $2M, now $1.8M. What do we think is a fair price? 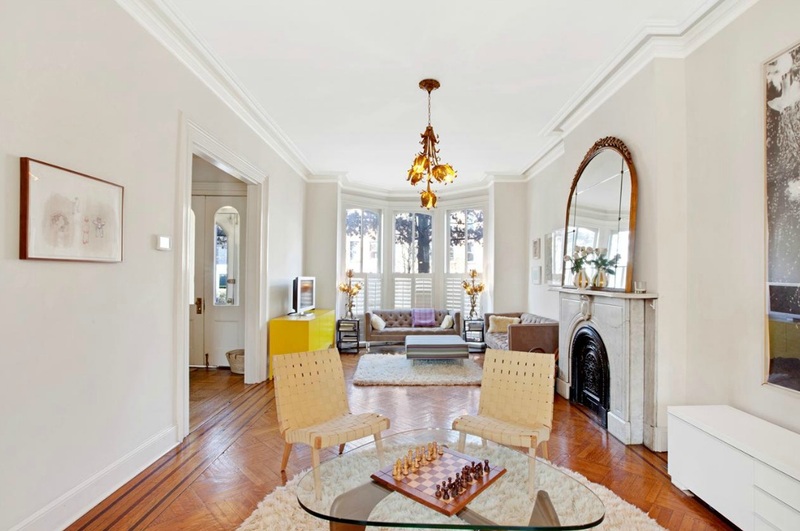 This is what $2M+ interiors actually look like on this street. But 34 St. Marks was a $1.5M+ foreclosure that was picked up just over $850K at auction in March. Just a few months later, the flip was in. We don't know that they'll see the ROI they were expecting on the renovation. Almost like 16 Hunts Lane, they probably would've been better off just leaving it alone. 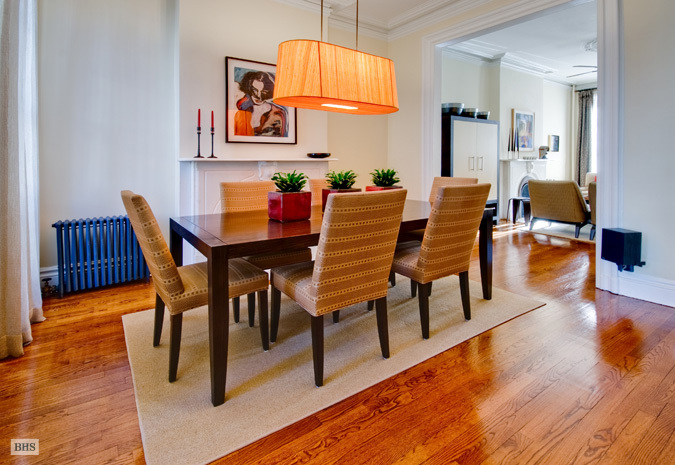 Buyers in these areas expect better and/or have the money to do it their way. They are bound to heavily improve on (or rip out) these renovations that even modest Bed-Stuy flips might look down on. 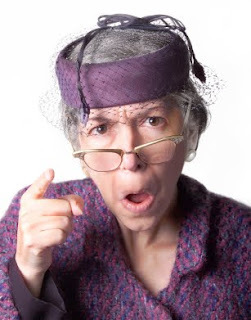 Didn't your grandma ever tell you? "If you don't have something nice to renovate, don't renovate at all!" At least the price is coming down, there are pics, a layout, and an open house tomorrow from 2pm - 3pm. Ideally: these owners bought so right, there's room to profit and sell at a fair price, even with the renovation misfire. 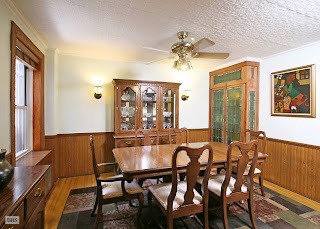 After taking a look at a listing yesterday that wants a price that's just plain uncalled-for, it's nice to see a place with a price that actually is. 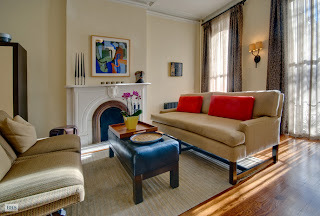 177 Carroll Street is a totally turnkey 2-Family that just came out for $2.65M. This is a lot of money, people, don't get us wrong. But at least they give us 7 great interior pictures, a detailed lay out, and a convenient open house this weekend... which is way more than we can say for this BoCoCa neighbor who isn't even giving a decent effort at fetching its $2.5M list price. 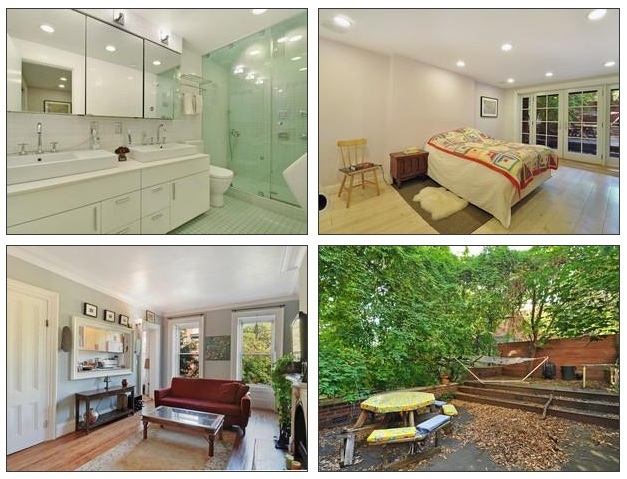 Please tell some of these other jokers with sub-par $2.5M+ listings to step their game up. Ideally: hem & haw about the design details if you will, but at least this listing gives it the ol' college try. 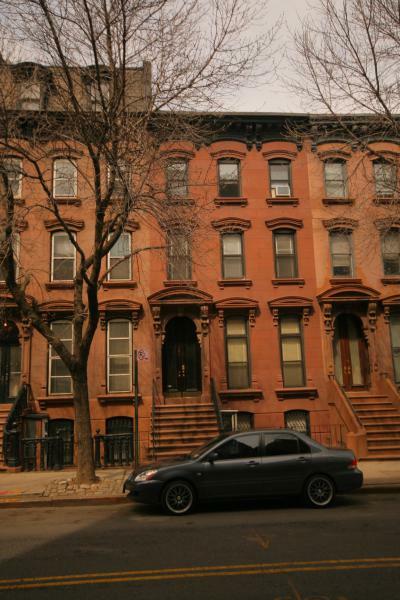 Park Slope prices may be out of control, but that doesn't mean you can throw any ol' house up there and expect to land well over $2M. 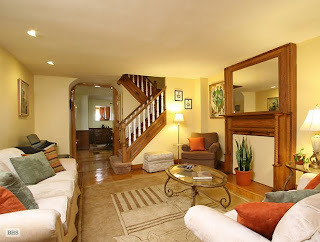 That's a lesson 572 Pacific Street is learning with a recent price drop of $145K last week. It's a lesson that we expect the freshly-listed 389 8th Street will soon learn too. With a list price of $2.425M and some pictures that show a modest renovation, we think they're really hoping to be a part of a Park Slope price point they're not quite ready for. You still gotta knock people's socks off somehow in this mid-$2M range. Are your socks still on?? So are ours. 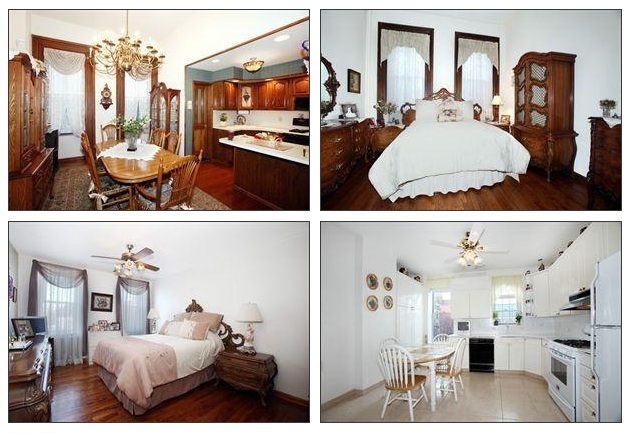 Ya gotta give us more than 2 interior pictures for this price, please. The price says "Park Slope", but so far the interior says "Gowanus". 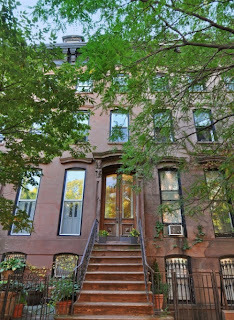 Take 184 St. Johns Place, for example, which came out for $2.3M with a great exterior & interior back in November. With original details & stylish updates making it classic AND turnkey, it was in contract in 3 weeks and closed all-cash over $100K above asking price. Did we mention, they took pictures? Even as prices shoot through the stratosphere, there are still too many great properties to choose from in the mid-$2M's to fake the funk. What's the angle on 389 8th Street? 233 Garfield is a better buy. 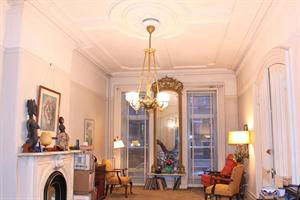 298 State Street is a better buy. 104 Berkeley is a better buy. And we're covering one tomorrow that's a WAY better buy. Ideally: prices are high, but it's not a free-for-all, people!